An exact chart of the River St. Laurence. 1 : 1580000 Johnson, A.J. 1 : 2027520 Colton, G.W. 129. Maine, Nova Scotia, New Brunswick, Quebec. Lower Canada ... and a large portion of the United States. 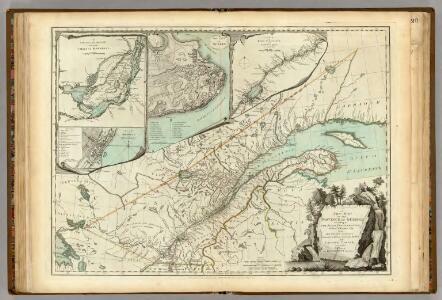 Canada, New Brunswick, Nova Scotia, &c., East Sheet.